Patient Speculation: Am I Really Cherry Picking? 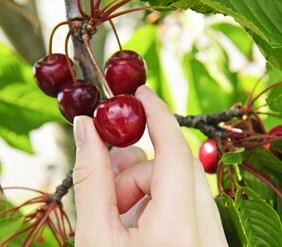 Am I Really Cherry Picking? On Tuesday I wrote a post outlining further changes to my Portfolio Lite, you can read the post here: Here’s Why My Portfolio Lite Is Getting Even Lighter! In reply to a the post I received a very well thought out and very thought provoking comment from a reader who goes by the name of Mouldhouse who runs an excellent blog called: 2010 and beyond . I did post a reply but I think that his comment deserves more, so I have decided to write today’s post addressing his concerns. Mark - I think its a great blog but this is a move in the wrong direction. Restricting any selection process to one per day, or one per week, or one per month can never be correct. Unless you are pricing everything (which you very rarely see, at least in the public domain), you will never know the "strongest" bets. Its the equivalent (IMO) of setting a £20 target each day and not stopping until you reach it, or stopping as soon as you reach it. Its artificial, nonsensical and very anti-long run. Good luck with your project - I will enjoy reading about the journey. You will no doubt have some very testing days where all the second-best selections win and you hit a bagel on the day. +EV is +EV, if you are going to follow what other people offer, its very dangerous (IMO) to pick the "best" of it. The first point that I would like to make is that in terms of purely maximising my financial returns, I believe that Mouldhouse is one hundred percent correct in what he has written. I do not dispute that at all. However I do believe that I cannot make decisions about running my portfolio by only considering the financial implications in isolation. What I mean by the above statement is that for me time management is a major issue, I work full time and I have family obligations that only leave me with so much time to spend on my passion. I don’t want to spend my day’s just putting bets on, recording the bets and posting about them. I do however want my Portfolio Lite to have exposure to a small number of different tipsters and methods across the few sports that I am interested in. So how do I solve what on the face of it looks like an unsolvable problem. My answer is to use a radical approach and cut down my bets to just one per tipster/method per day. I do realise that by doing the above I will miss out on a lot of winners, I also know that as Mouldhouse quite rightly points out, there will be day’s where I back a one point selection by a tipster and other days where I do not back selections of an higher points value. That will happen. I do not agree with Mouldhouse when he implies that what I am doing is the same as setting a daily target, but again I could be wrong and it is only my opinion. Positive expected value is positive expected value. What I mean by that is that by choosing a tipster or method to follow I believe that over the long term there will be a positive expected value for all of their selections, so that means that if I choose one or all of their selections to follow I should end up in profit over the long term. With regards to the point Mouldhouse made about there being very testing days where the selections that I back lose, but other selections win, I believe that for me personally that is a major positive because it will test out all of the psychological skills that I have been working so hard to develop. So in summary; I am not saying that I am right and I am saying that I believe that the majority of what Mouldhouse has written is correct. There is also a very real chance that my idea could crash and burn! However I do firmly believe that for my personal circumstances, the decision that I have made is the correct one. Only time will tell whether I am right!! It's an interesting post. There is no doubt that picking between tips could mean that you miss winners. However, with time constraints I can understand there is no easy answer. You have to formulate Portfolio Lite so it is managable. One good aspect about HCE is that we will rarely give more than one selection a day :-). I feel your reasoning is perfect for you. With your determination and passion you get my vote.